AIKEN - Mr. Robert Aaron, 71, of 200 Stone Dr., husband of Mrs. Eva Cheatham Aaron entered into eternal rest on Monday, October 1, 2018. Friends may call the residence or JACKSON-BROOKS FUNERAL HOME, 126 Fairfield Street SE, Aiken, SC 29801 @ 803-649-6123. To send flowers or a remembrance gift to the family of Robert Aaron, please visit our Tribute Store. "Email Address" would like to share the life celebration of Robert Aaron. 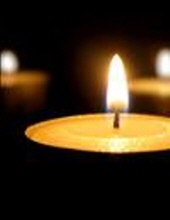 Click on the "link" to go to share a favorite memory or leave a condolence message for the family.